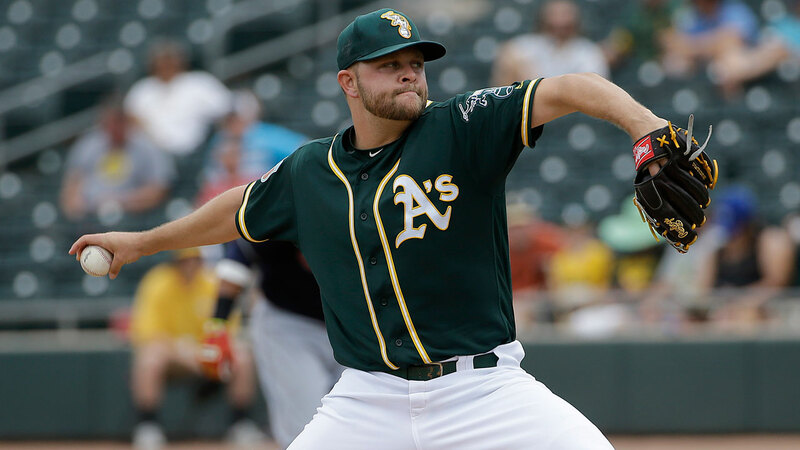 As pitchers fall victim one by one to the angry DL monster (please be okay, sweet baby Paxton), it becomes more important than ever to make smart waiver choices. Fortunately, as we get further on in the season, sample sizes get larger and advanced stats can more reliably tell us about a pitcher’s performance. After a month of play, we have gotten to the point where we can start telling who is for real and who is not using a player’s peripherals. Let’s take a look at some of the most talked-about pitchers of the past week and see where they stand. 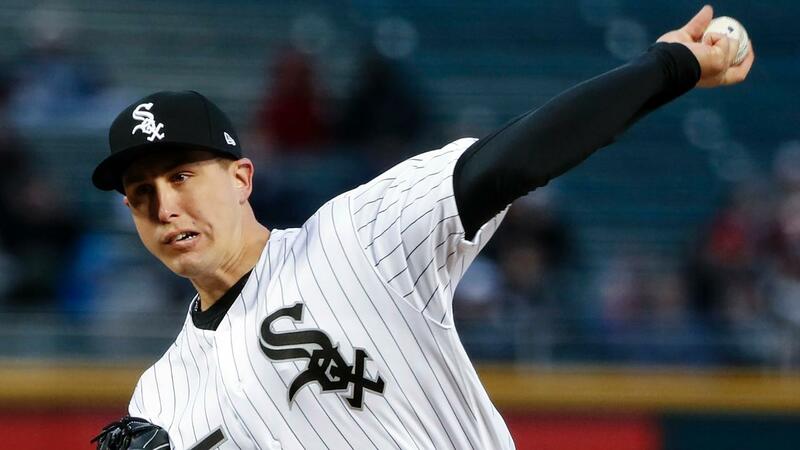 After opening the season with six straight starts of 2 ER or fewer, people are finally starting to pay attention to Derek Holland. He’s changed teams and has started favoring his secondary pitches more this year and this should be a better year for him due to an increased strikeout rate. However, despite these changes, I think this is the best we’ll see from Holland and his best is still not all that much better than he’s normally been. His regression profile implies that his string of strong starts has benefitted more from good fortune than actual skill and he’s actually giving up more hard contact than he ever has. I’d expect him to continue pitching well in a spot start against the Twins this week, but you shouldn’t be rushing out to get him if he’s on your waiver wire. Cahill has shown an increased strikeout rate that could be sustainable based on last year’s numbers and has some upside here. Not sure if I want to trust him for the rest of the season yet, but he’s got a nice two start week after his game today was postponed and I’d recommend giving him a shot. After looking through Derek Holland’s profile, I feel like I have déjà vu while going through Jesse Hahn’s. He’s got six straight starts of 3 ER or less, a higher strikeout rate than before, and an easy-ish matchup this week (@TEX) that should allow his success to continue. But just like Holland, a deflated BABIP and HR/FB rate that can also be an easy excuse for his success up to now. The one thing I’d give him over Holland is age, as he’s about three years younger and has more potential for growth. But again, he’s not a must-add in my view, as there are more exciting arms out there to own. Déjà vu again. Like his counterpart Trevor Cahill, Charlie Morton has shown an increased K rate from last year, has a decent two start week ahead, and I’m not sure if I can trust him rest of season. But when it comes to taking shots on guys you aren’t sure about, the ones that have more strikeouts and less walks is usually what you want to shoot for. 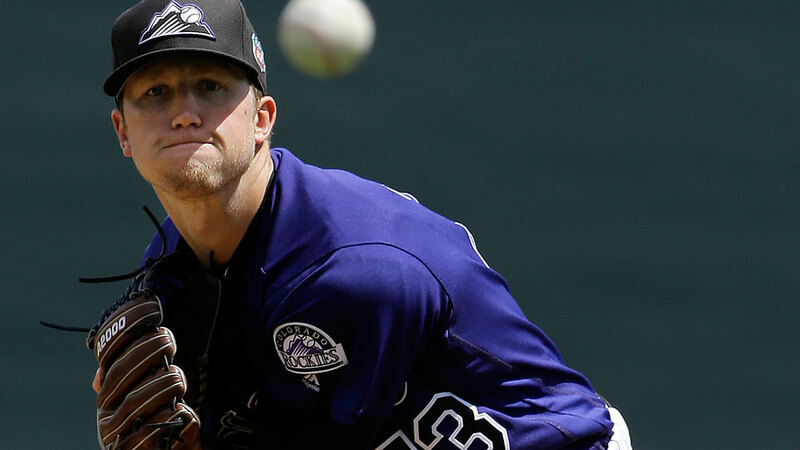 In what’s probably the easiest call of the night, I’d recommend resisting the urge to pick up the latest trendy pitcher for the Colorado Rockies, Kyle Freeland. The dual eligibility is tempting for those of you in points leagues with dedicated RP slots, but it’s almost universally a poor idea to rely on a Rockies pitcher. To pitch successfully at Coors field, a pitcher needs to exhibit exceptional ability at both striking out batters and inducing ground balls. While Freeland has a superb 64.2% ground ball rate, a putrid 5.29 K/9 just isn’t enough for me to give an endorsement. With both the Cubs and the Dodgers coming to town on a two start week, I’d absolutely stay away from Freeland until further notice. He’s my least favorite of the pitchers I’m endorsing this week, but he’s also the least widely owned so there’s a really good chance he’s available in your league. His peripherals are still good enough for me to recommend him and the Angels are really in need of a standout pitcher for their squad. You could definitely see your enthusiasm in the article you write. The world hopes for more passionate writers like you who aren’t afraid to say how they believe. Always follow your heart.